August is off to a great start in my world. 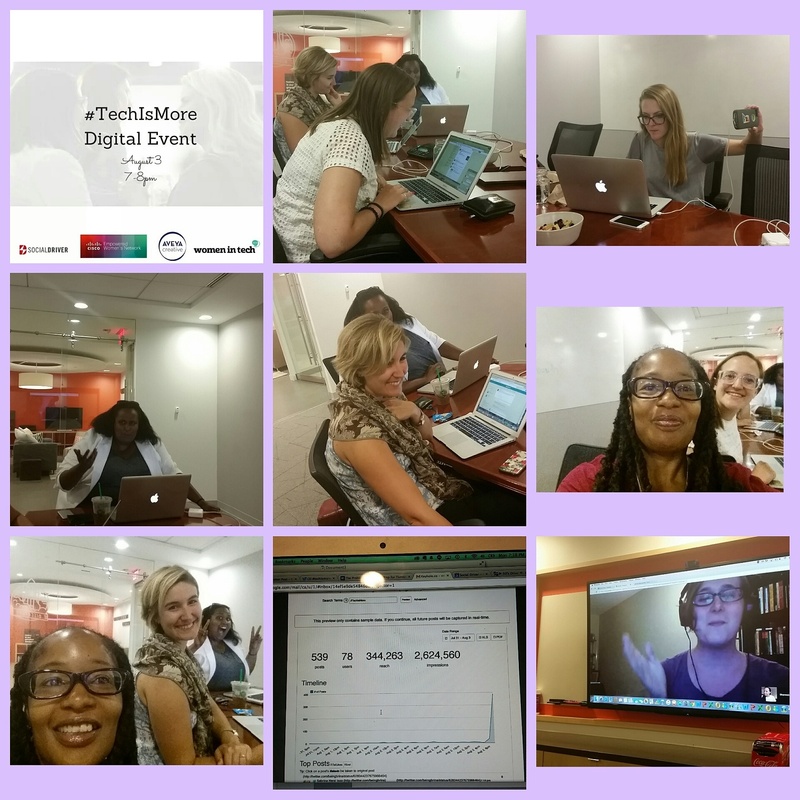 On Monday, I participated in the Women in Tech Campaign’s #TechIsMore digital event. 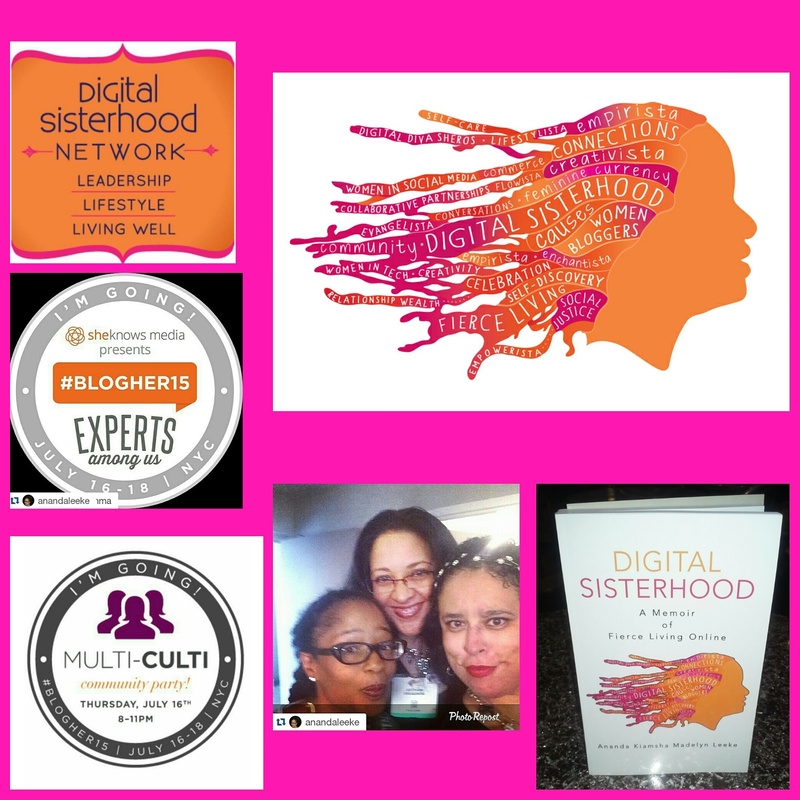 It was truly a #DigitalSisterhood experience that included sitting in a room surrounded by dynamic Digital Sisters in real time and via Google Hangout, Periscope, and Twitter. We had a double chocolate delicious discussion about women in tech issues including diversity, inclusion, challenges, and success strategies. 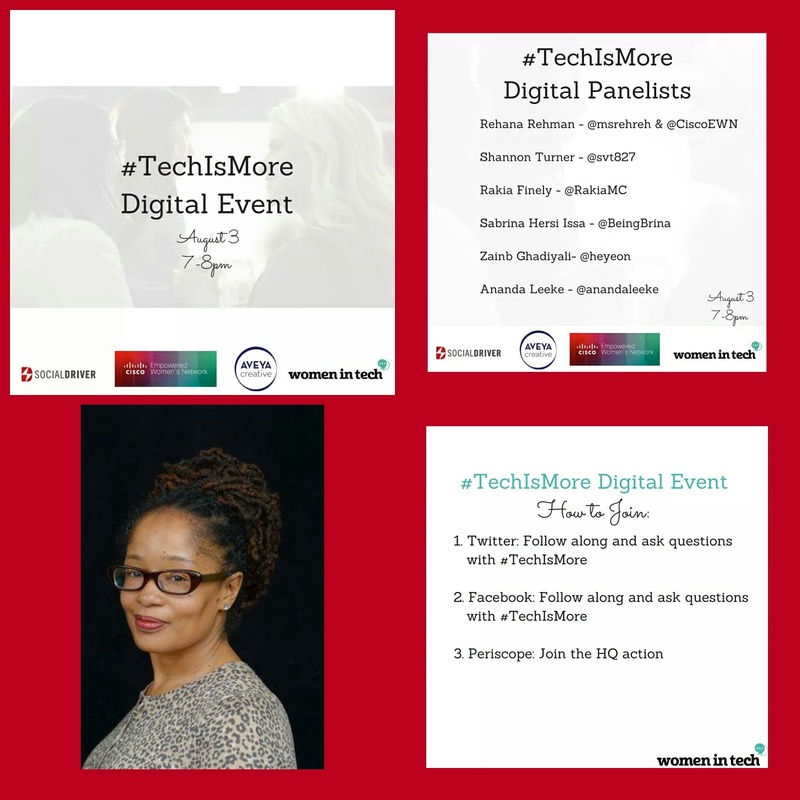 Click on link below to read the #TechisMore Storify blog recap prepared by Women in Tech Campaign founder Emily Rasowsky. Be sure to follow @WITCampaign on Twitter. 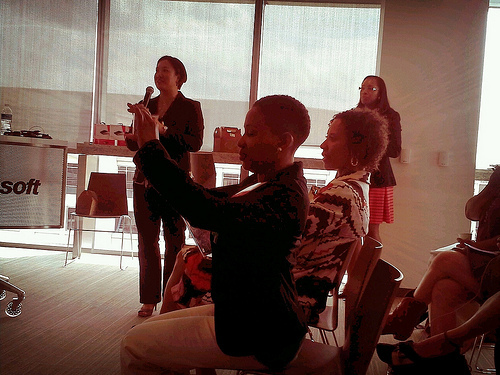 Happy #DigitalSisterhood Wednesday Digital Sisters! 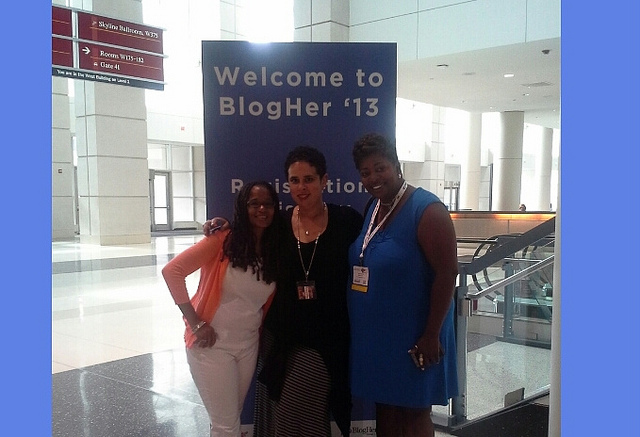 Today, I am giving a special #DigitalSisterhood Wednesday shout out to my #BlogHer15 Digital Sisters who are traveling to New York City to attend the 11th annual BlogHer conference on July 16-18 at the Hilton New York. #BlogHer15 Digital Sisters come celebrate the diverse beauty, boldness, and brilliance of our BlogHer community on July 16 from 8-11PM at the third annual #MultiCulti Party at the Hilton New York. 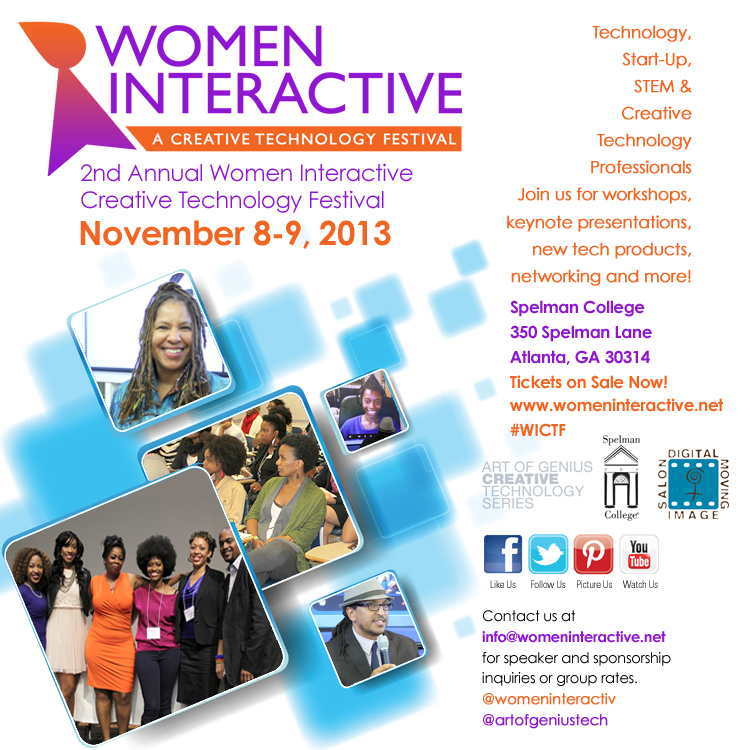 I am co-hosting the party with two amazing Digital Sisters, Pauline Campos and Dwana De La Cerna. Guess what? The first person who arrives at the #MultiCulti Party will receive a signed copy of my book, Digital Sisterhood: A Memoir of Fierce Living Online. There’ll be other goodies too including the #MultiCulti Party signature drink (alcoholic and nonalcoholic) created by Pauline Campos, #MultiCulti food and cake, #MultiCulti music, and the “What’s On Your #MultiCultiMind?” Post-It Wall that allows you to write and share your definition of #MultiCulti. 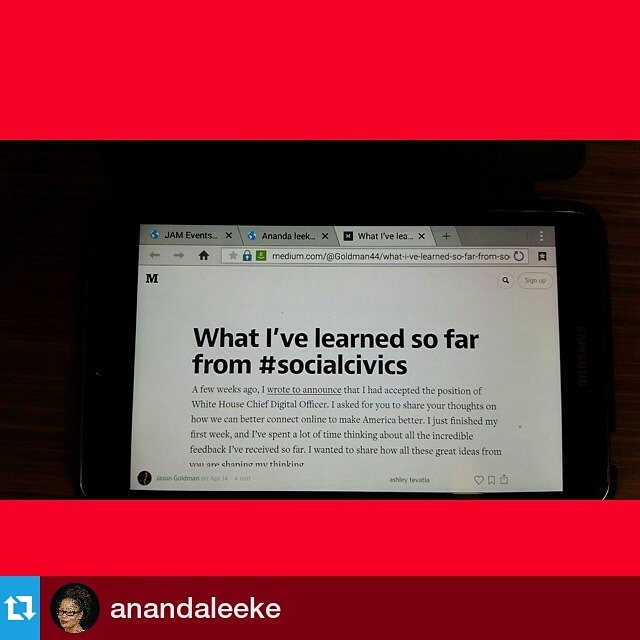 Follow @anandaleeke, @pauline_campos, and @justdwana on Instagram and Twitter for updates. 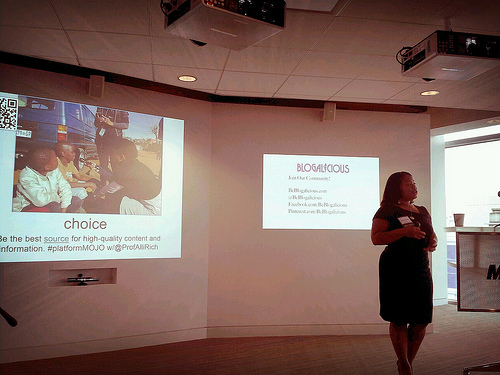 Use #BlogHer15 and #MultiCulti hashtags to stay connected. VOICE is #DigitalSisterhoodat50 Lesson 6. I was reminded of the power of women’s voices online two times today. The first happened while reading reading a Medium blog written by the new White House Chief Digital Officer Jason Goldman about what he has learned from #socialcivics. I was excited to see Goldman had included several women’s voices in his post. 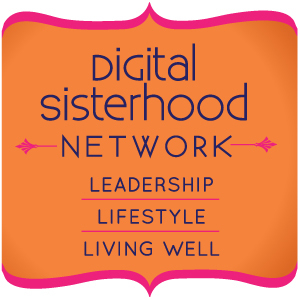 Three women are connected to me through the Digital Sisterhood Network (DSN): Janet Johnson, Patricia Patton, and yours truly. 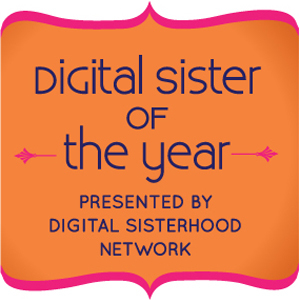 FYI DSN named Johnson and Patton as Digital Sisters of the Year. A few weeks ago, we used our blogs and digital presence to give voice to our #socialcivics ideas. Speaking up is something we can all do when we honor our voices. 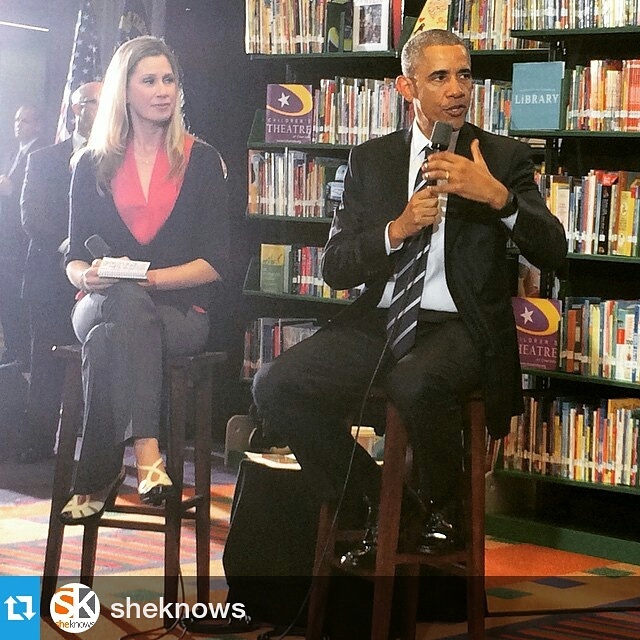 This afternoon, I watched Lisa Stone, BlogHer co-founder, SheKnows Chief Community Officer, and Digital Sister of the Year, give voice to women’s issues while moderating the #ObamaTownHall with President Barack Obama. As I watched the event on WhiteHouse.gov, live tweeted, and read the tweets of other women, I witnessed firsthand what happens when women believe they have something to say — they give voice to their concerns with passion, encourage other women to speak up, and spark important conversations that can inform and influence society. 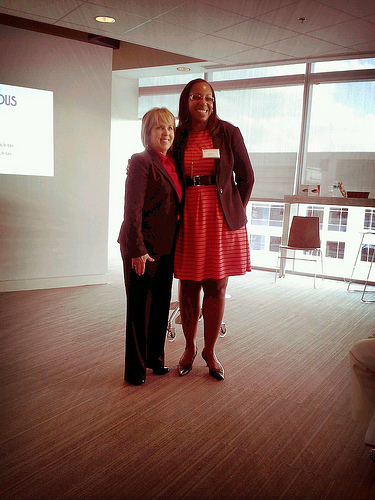 NETWORK is #DigitalSisterhoodat50 Lesson 5. For me, NETWORK means to meet and share information with individuals for the purpose of cultivating positive and productive relationships for business, career, and volunteer opportunities. 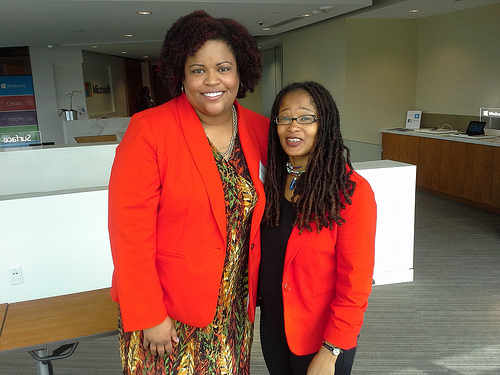 The month of March offered several opportunities to network with women authors, bloggers, entrepreneurs, and creative, digital, media, and tech professionals at events sponsored by DC Media Mavens, DC Web Women, and WordPress/Automattic. After each event, I connected with the women I met via email and on Facebook, Instagram, LinkedIn, and Twitter. I subscribed to a few blogs written by the women. 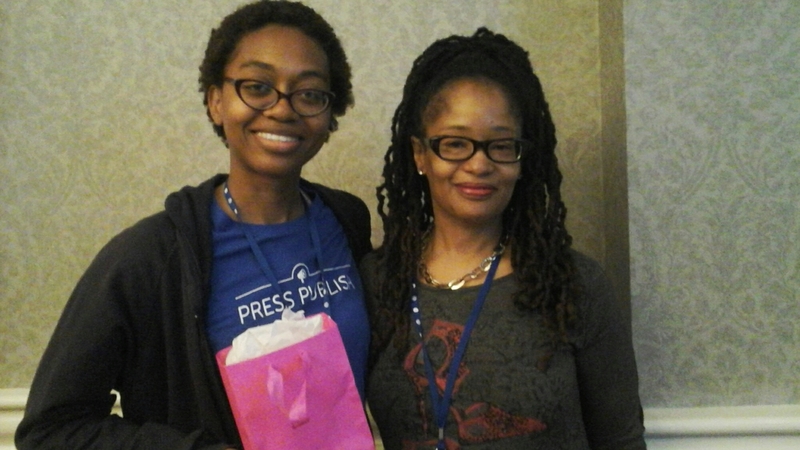 For two of the events, I wrote blog recaps and thanked the organizers. I also sent thank you emails and mailed or hand delivered handwritten notes to the organizers. How do you define NETWORK? How do you follow up with people after you meet them? What motivates you to cultivate relationships in your NETWORK? CONNECTION is #DigitalSisterhoodat50 Lesson 4. 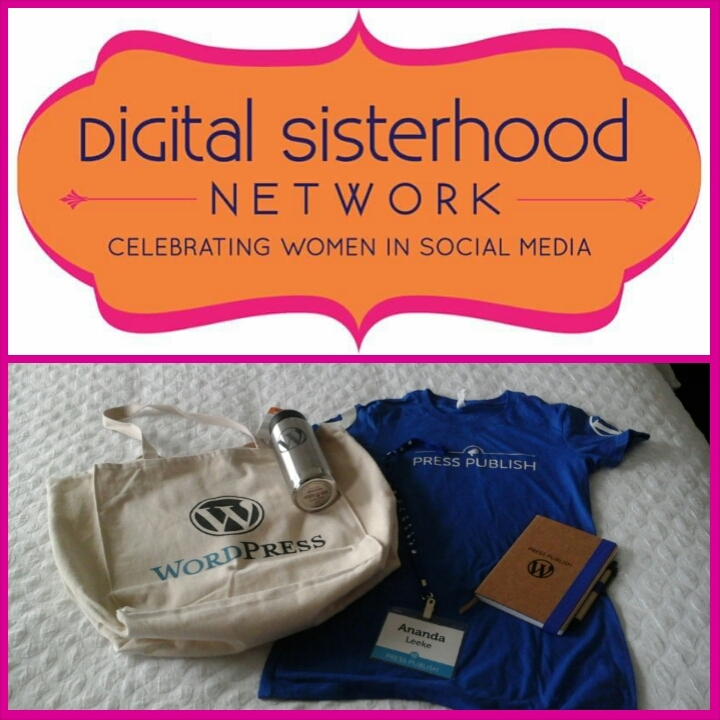 Last weekend, I experienced an abundance of soulful #DigitalSisterhood connections during the WordPress Press Publish Conference in Portland, Oregon. 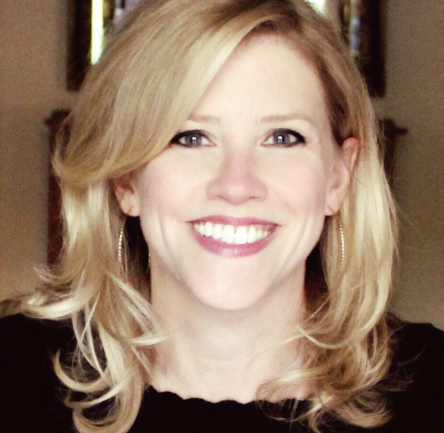 On my flight to Portland, I sat next to author and blogger Mary Laura Philpott. We had no idea we were headed to the same conference until we landed and started chatting about why we were in Portland. 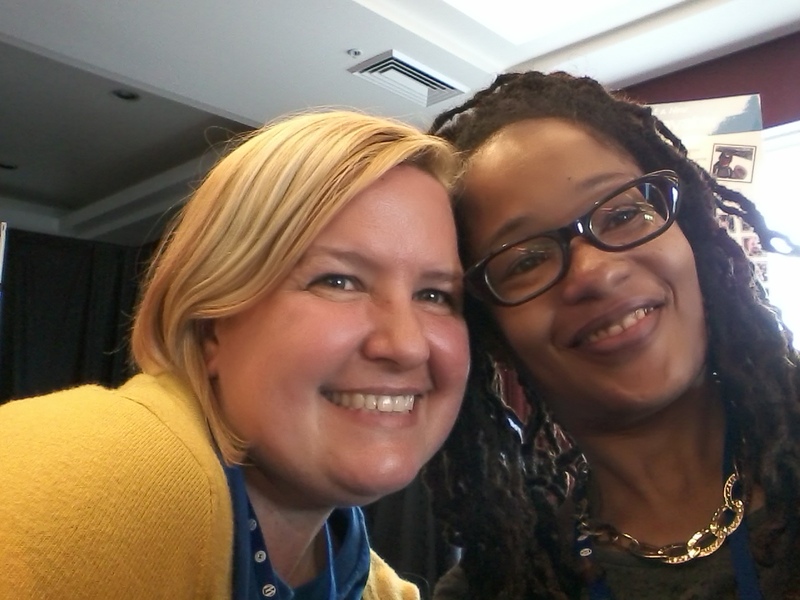 And within seconds, I felt that special #DigitalSisterhood connection. 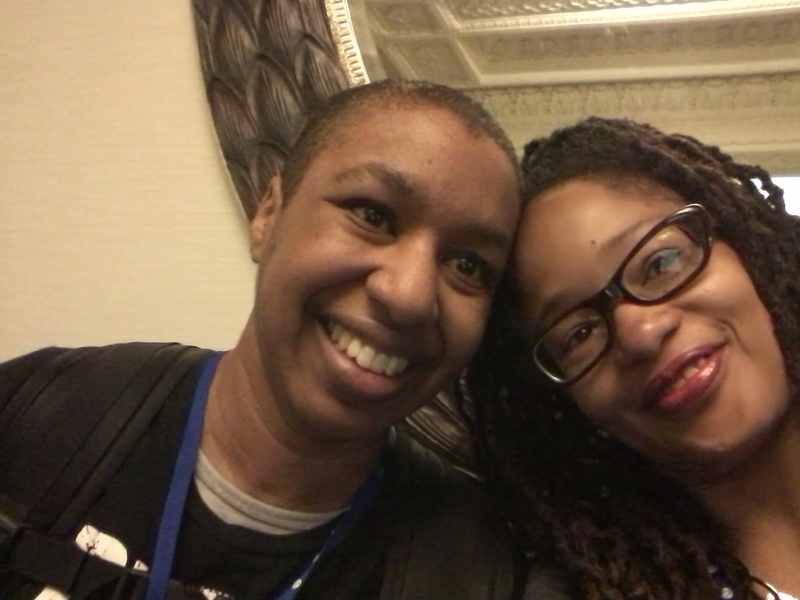 We both walked to baggage claim to meet Kathryn Presner, a WordPress developer, and to grab a cab to the hotel. Kathryn is a hugger, conversationalist, and has a groovy sense of humor. Our cab ride to the hotel cemented our #DigitalSisterhood bond. A few hours later, I met Jen Mylo and Andrea Middleton, the phenomenal Press Publish organizers at the speakers meeting. My #DigitalSisterhood bond with Jen and Andrea was formed virtually during our first Google Hangout in February. 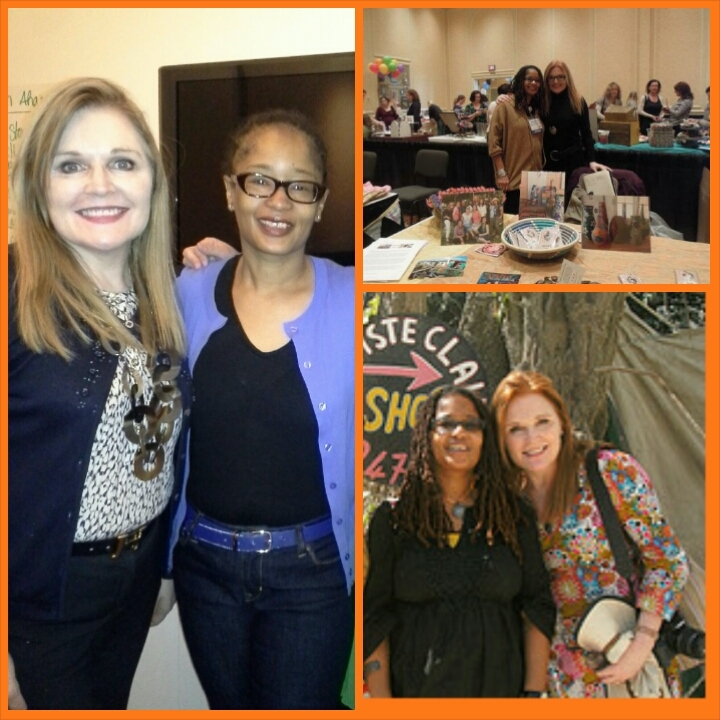 Our face-to-face meeting was filled with an abundance of #DigitalSisterhood love. Both ladies are super kind, generous, nurturing, and organized. They really should run the world! During the speakers meeting, I met authors and bloggers Cecilia Gunther and Christine Lee. They are powerhouses in their own right with lots of witty humor and conversation. 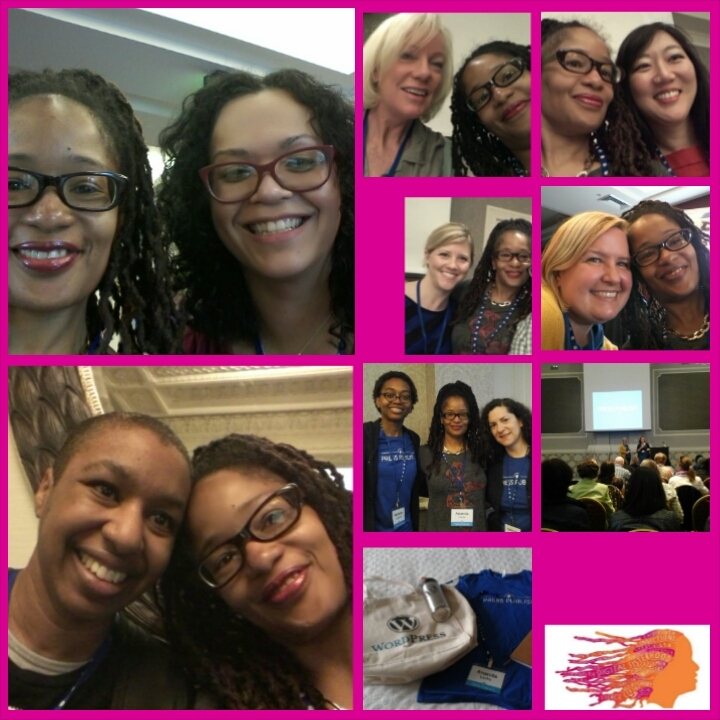 My #DigitalSisterhood bond emerged after several conversations during the conference. 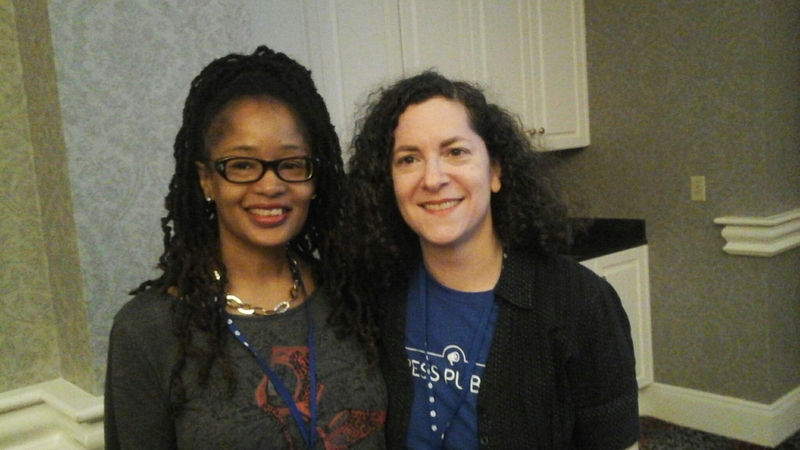 After the speakers meeting, I had a chance to finally thank Michelle Langston, a WordPress developer who helped me redesign my web site, in person. Our #DigitalSisterhood bond formed while we worked on the web site in March. Meeting her, participating and learning about new WordPress themes in her session, receiving her technical support in the Happiness Lab, and hanging out with her during the speaker dinner and trip to Powell’s bookstore was a blessing! 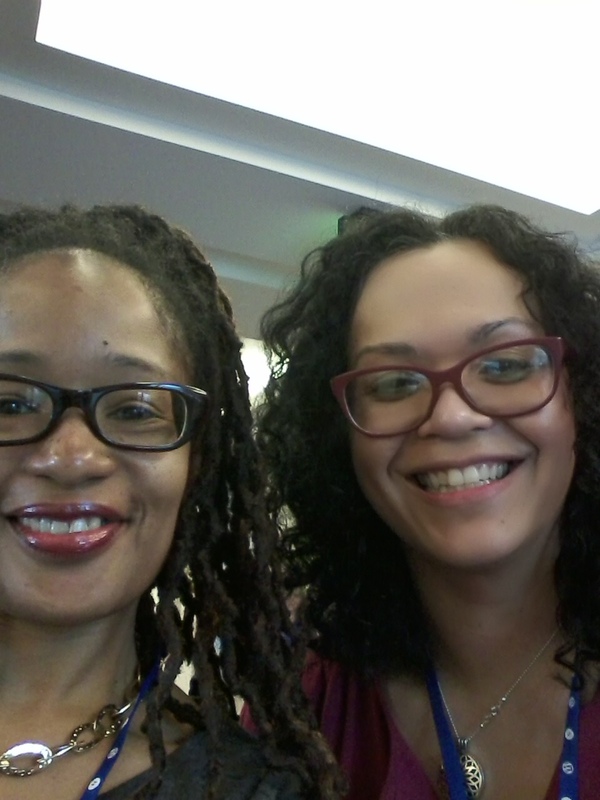 Throughout the conference, I met, chatted with, and formed #DigitalSisterhood bonds with Kronda Adair of Karvel Digital, author/blogger Kelly Bejelly, writer Jeanne Faulkner, doula/blogger Kendra Atkins-Boyce, Norma the “Naughty Poetess,” and so many more amazing women. On Saturday evening, my #DigitalSisterhood connections expanded tremendously when I met and hung out with blogger Ariel Meadow Stallings and WordPress team members Marjorie Asturias, Josepha Hayden, Anne McCarthy, Grace Park, and Grace Jiyoung at the Press Publish dinner and visit to Powell’s bookstore. I left Portland with a new tribe of Digital Sisters. Did you attend Press Publish? Who did you form #DigitalSisterhood connections wth? #DigitalSisterhoodat50 Lesson 3 is MENTOR. Today, I’m celebrating the mentor relationships I have with Digital Sisters of the Year Ayoka Chenzira, Danica Kombol, and Sylvia Wong Lewis. Ayoka Chenzira (known as Ayo) is the Founder and Director of Spelman College’s Digital Moving Image Salon in Atlanta, Georgia. Ayo is an Award-winning filmmaker, interactive digital media artist, and one of the first African American women to write, direct and produce a 35mm feature film. She is also the first African American to earn a Ph.D. in Digital Media from Georgia Institute of Technology. 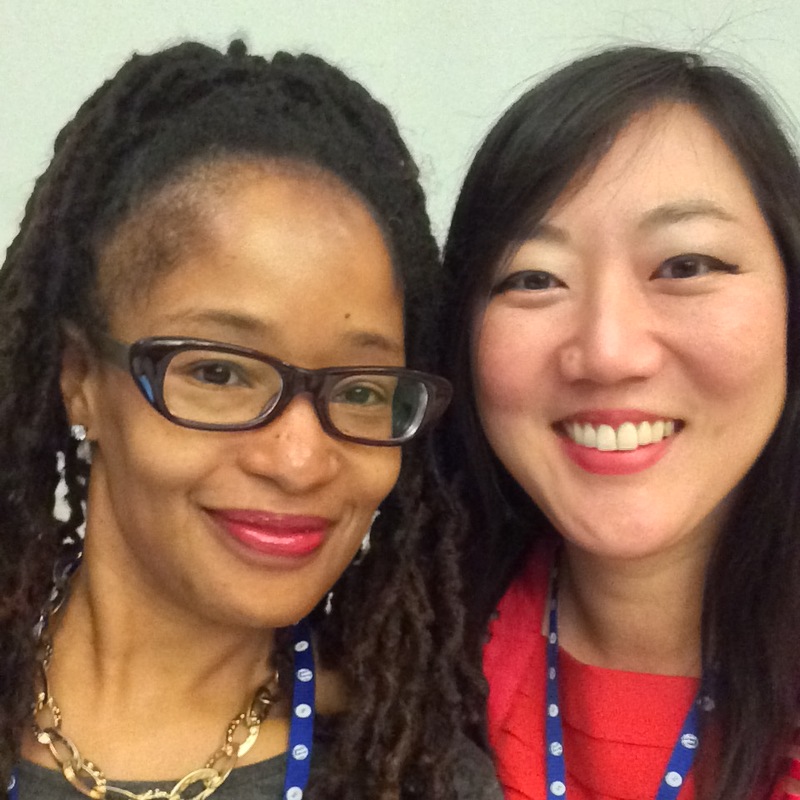 We met through my Digital Sisterhood Radio interview series in 2010. Our conversation was soulful and filled with a kindred sisterhood spirit that I knew would bond us for life. She later invited me to participate as a panelist and speaker in several Spelman College’s digital media events in 2011, 2012, 2013, and 2014. When she and her daughter HaJ premiered FUNNEL CAKE FLOWERS & THE URBAN CHAMELEONS, their digital interactive production, at American University in Washington, DC, my dad and I attended and became instant fans of their work. HERadventure, an interactive sci -fi movie that combines live action with on-line game elements, is her latest collaborative effort with HaJ and a personal favorite of mine. 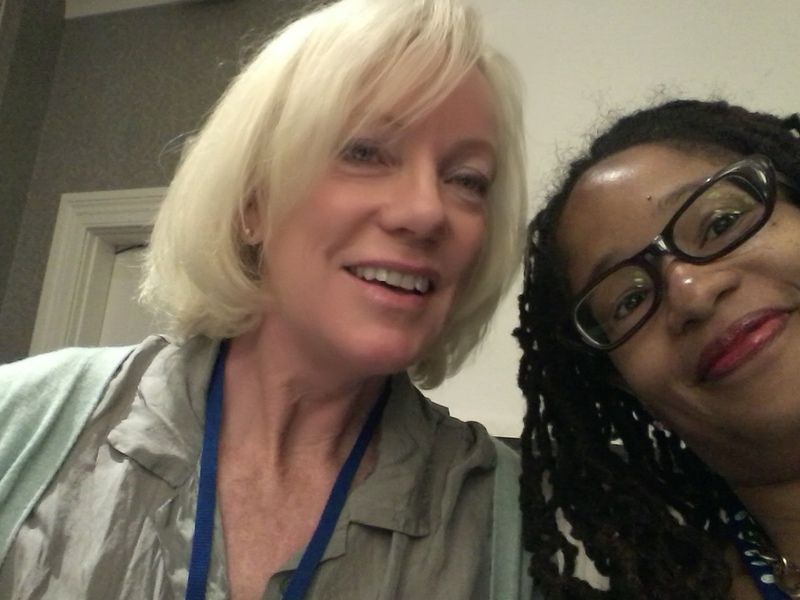 Her passion for digital media, filmmaking, telling stories about women of color, and joie de vivre inspire me greatly. 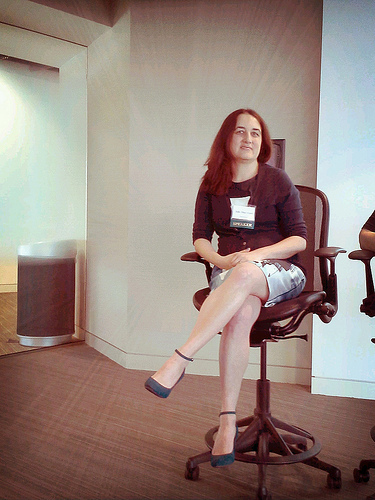 Danica Kombol is Founder and President of the Everywhere Agency, a woman-owned social media marketing firm in Atlanta, Georgia. We met during the Blogalicious Conference in Miami, Florida in 2010. Our first conversation centered around the Haitian goddess Erzulie and her firm’s work with Macy’s Heart of Haiti Campaign. It was a magical sisterhood connection. After learning more about the Heart of Haiti Campaign, I applied to become a Blogger Ambassador. When my application was accepted, my life changed. Here’s how. I was selected by the Clinton Bush Haiti Fund, Fairwinds Trading, and Macy’s to travel to Haiti with Danica and an incredible group of women bloggers, social media influencers, and digital communications professionals in 2011. During the trip, Danica and I roomed together. We had so many great conversations, Reiki sessions, and yoga by the pool moments. Our bond of sisterhood grew exponentially. After our trip, I continued working with Danica and her Everywhere team on the Heart of Haiti campaign. 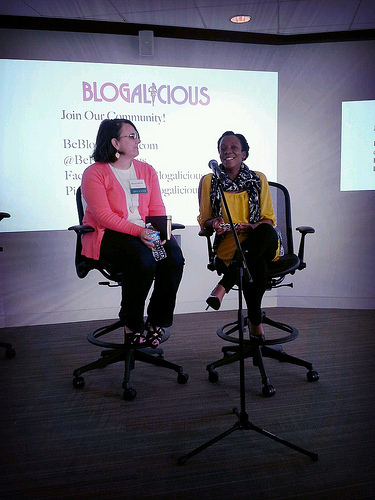 Whenever we attended social media conferences like BlissDom, Blogalicious, and BlogHer, we made time to connect and catch up. During my trips to Spelman, Danica always made sure to come out and support my speaking efforts or host special events at her office or home to welcome me to town. She has given me zillions of hours of social media and marketing advice for my business. One of my favorite moments with Danica is the time she introduced me during my book launch at her offices in 2014. Her words of appreciation filled my heart with an abundance of gratitude for her presence in my life. 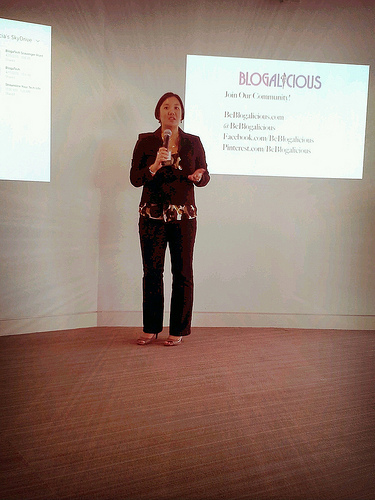 Sylvia Wong Lewis is the Founder of Narrative Network, a legacy blog and media consulting firm in New York City. 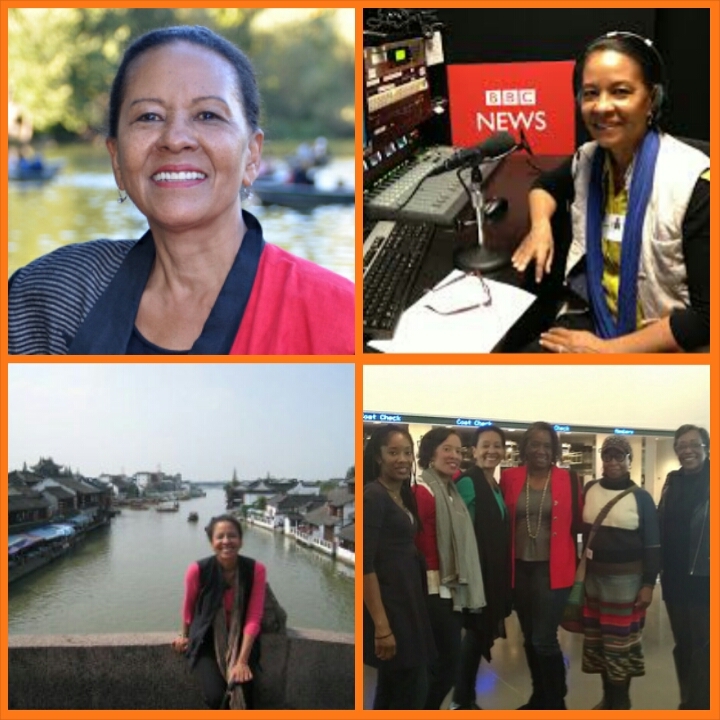 Sylvia is an award-winning journalist, teacher and media professional with over 30 years experience in corporate communications and multicultural marketing. She is also a filmmaker, foodie/chef (with a delicious Instagram page), gardener, genealogist, photographer, and proud Smith College alumna. In 2013, received a Telly Bronze Award for creative excellence for her documentary production of “From Shanghai to Harlem,” an American migration and immigration story that portrays her mixed Chinese and Black family by exploring slavery, freedom, music, love, identity, and diversity. She also received the AVA Digital Award’s Gold Award for creativity and video editing in documentary production. One evening while having dinner with my digital sister Xina Eiland at Chocolat, one of my favorite restaurants in Harlem, I met Sylvia and her husband Byron. We became fast friends and kept in touch. A month later, I invited her to participate in the NYC Digital Sisterhood Month Meet Up at the Brooklyn Museum. After the event, she interviewed me and wrote an article for her Examiner.com column. Our sisterhood bond deepened when we began a series of social media tutorials. The tutorials often included Sylvia sharing her life wisdom with me. I began to rely on her counsel for major career decisions and make a point of scheduling quarterly chats with her to check in and see what’s happening in her world. Recently, I was in New York and paid her a visit. During our visit, she hired me to do a one-on-one social media training on the spot. Having her as a client reminds me of how she always encourages me to spread my wings as a businesswoman and creative person. Our friendship and mentor-mentee relationship are rooted in authenticity, sisterhood, and reciprocity. What a blessing! 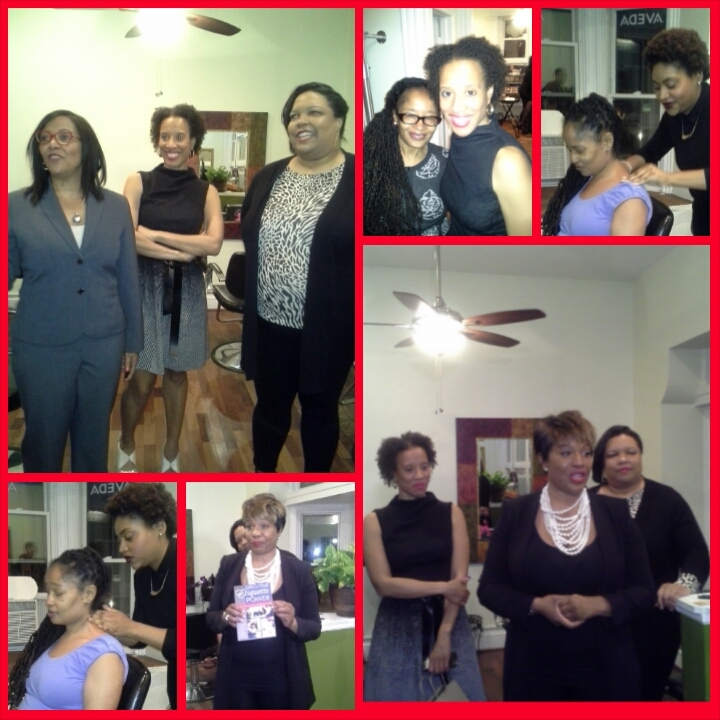 Each of these dynamic digital divas has been a sounding board of advice for my life, creativity, career, and business. They have provided nurturing support and opportunities to express and share my gifts. We have also spent quality time together in person and on the telephone chatting about a wide variety of things. I trust their counsel and feel blessed to have them in my life. 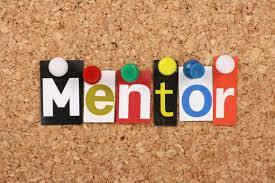 MENTOR is both a noun and a verb. As a noun, Webster’s Dictionary defines it as, “someone who teaches or gives help and advice to a less experienced and often younger person; a trusted counselor or guide; a tutor and coach. Webster’s states that mentor as a verb means “to teach or give advice or guidance.” When I think of my mentors and the role I have played as a mentor, my definition includes some of Webster’s key words: teaching and giving guidance or advice as a trusted coach with the intention of showing positive support and providing constructive criticism that improves the mentee’s life and career experiences. What is your definition? Do you have a mentor? Are you serving as someone’s mentor? What advice have you have given or received as a mentor or mentee? PARTICIPATE is #DigitalSisterhoodat50 Lesson 2. Over the past 11 years of blogging, I’ve learned firsthand how important it is to participate in local and national conferences, events, and meet ups. My participation has given me opportunities to build community and establish relationships with women in social media and technology. 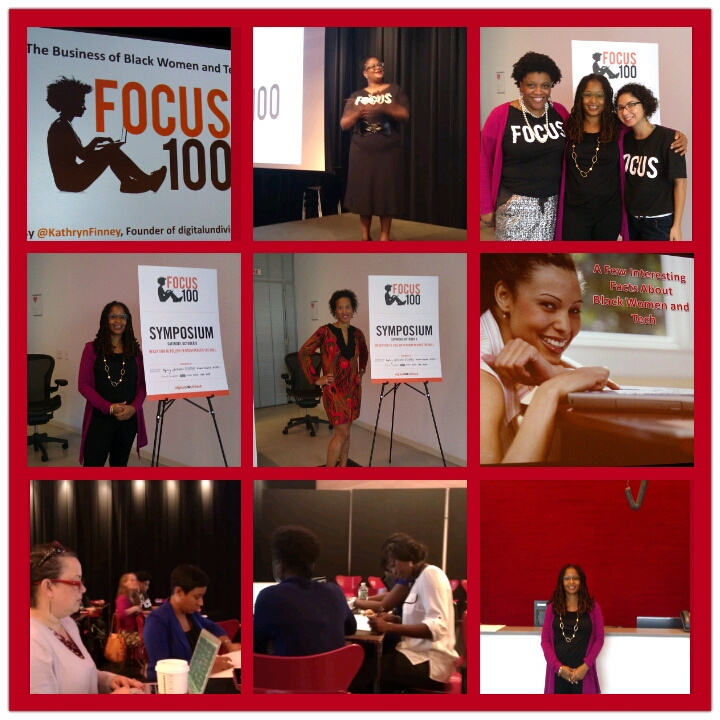 Some of my favorite conferences are Black Bloggers Connect, Blogalicious, BlogHer, FOCUS100, LATISM, She’s Geeky, and Women Interactive. 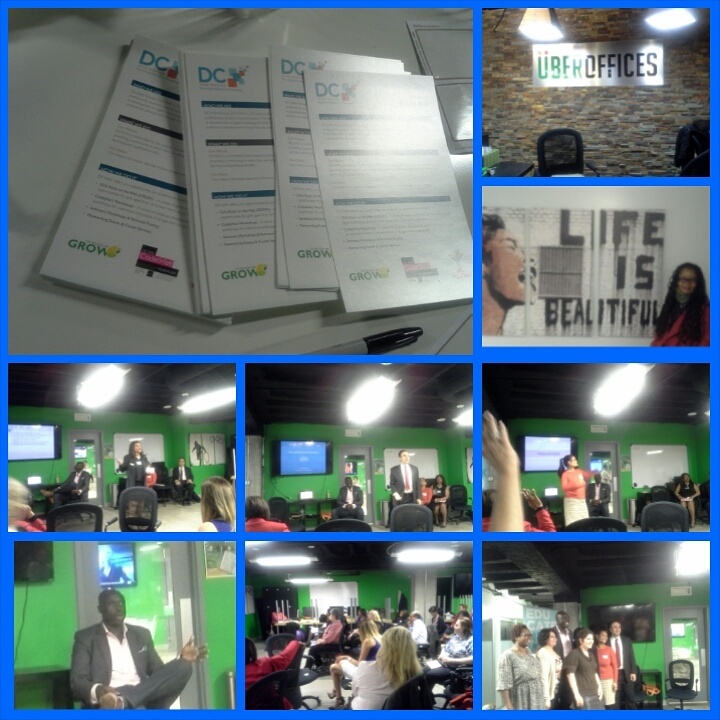 I also enjoy hosting Digital Sisterhood Network meet ups and attending events sponsored by DC Web Women and the Fabulous Women Business Owners DC. What types of events do you participate in? 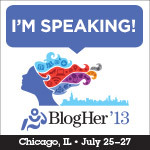 Calling all BlogHer 13 attendees! Be sure to check out my 30 minute talk on “What Type of Social Media Leader Are You? on July 26 and 27. During my talk, I will introduce the seven Digital Sisterhood Leadership archetypes that have helped me understand the leadership roles women play in social media. 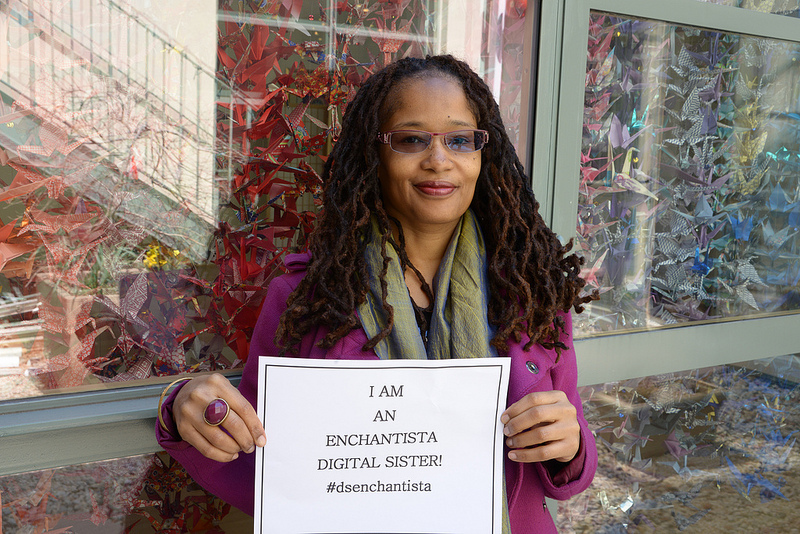 Today, I would like to introduce you to the Enchantista, one of the Digital Sisterhood Leadership archetypes. During Digital Sisterhood Month 2012, the women listed below were named Digital Sisters of the Year – Enchantistas. Recognize any familiar names? While writing my upcoming Digital Sisterhood book, I created manifesto collages to better understand each leadership archetype. 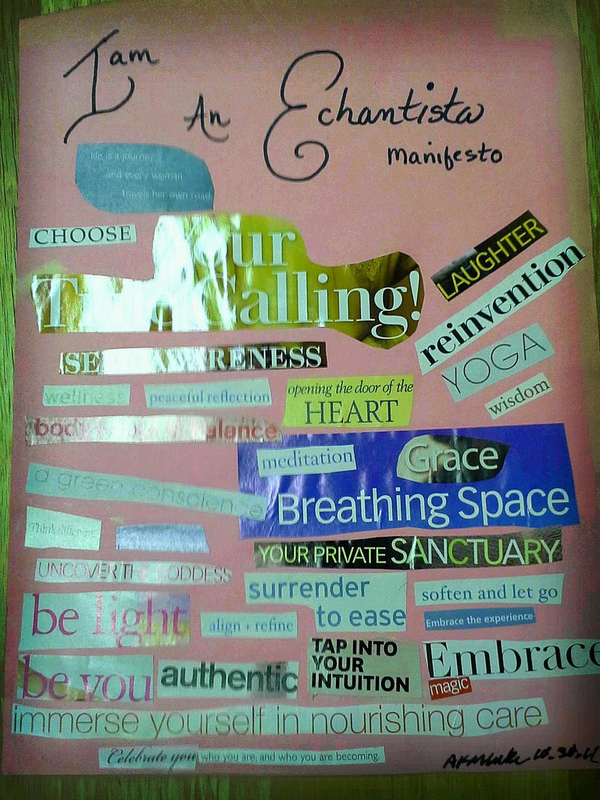 Check out the Enchantista’s key phrases. Do any of the words resonate with you? 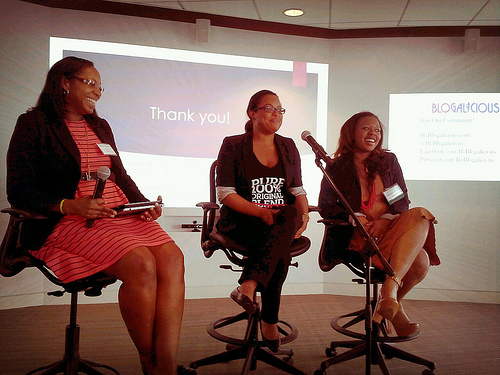 Today is a perfect day to celebrate the “Digital Sisterhood” experiences I had and witnessed during the Blogalicious Tech Summit held on April 18, 2013, at the Microsoft Innovation and Policy Center in Washington, D.C. First of all, it was great to see the dynamic “Blogalicious team trio” – Chief Curator/Co-Founder Stacey Ferguson, Operations Manager Jazzy Jones, and Publicity Director Xina Eiland in action. These ladies devoted a considerable amount of time, energy, creativity, and effort to making the Tech summit a success. Many thanks to them, Microsoft, and the amazing presenters and attendees! Prior to the Summit, I had the honor of serving as an content advisor for the agenda and presenters. Working with Stacey was pure joy! Why? Because she is extremely passionate about and committed to making sure the Blogalicious community is informed and has access to information, opportunities, thought leaders, and tools. The final agenda topics and presenters that Stacey and her team developed represented a gold mine of expertise. Many of presenters like Social Lens Research founding partner Julie Diaz-Asper, TechSavvymama.com founder Leticia Barr, and ScapsofMyGeekLife.com founder Michele McGraw were women I met during previous Blogalicious conferences. 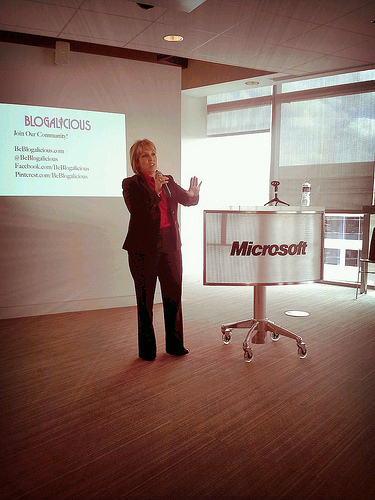 Several like Blerdology CEO Kat Calvin, DiversiTech founder Christine Johnson, and Blerdology CMO Amanda Spamm were women I met at social media and tech events in D.C.
A few like MOJO Mediaworks, LLC founder Allissa Richardson and 1776 co-founder Donna Harris were women I connected with on Twitter and other social media sites. Two women were new discoveries for me: The Social Studies Group managing partner Wendy Goldman Scherer and Congresswoman Michelle Lujan Grisham. These women were all dynamic, friendly, and positive. Each of them displayed an incredible amount of generosity while sharing their expertise during their presentations and throughout the Summit. 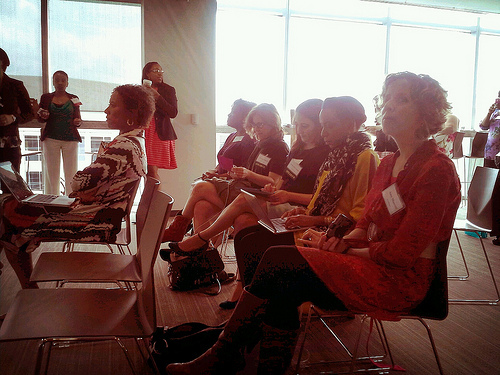 The women who attended the event were also dynamic, friendly, positive, and open to sharing their experiences. At the end of the Summit, I told Stacey and Xina that it was one of the best days of learning and networking I’ve had all year. 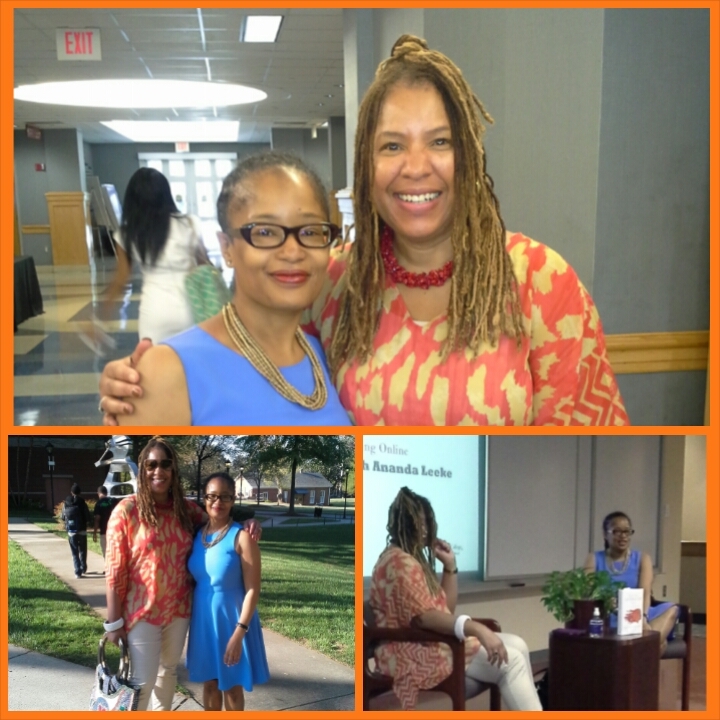 I left the event feeling energized and on fire about my upcoming book, business, and the Digital Sisterhood Network. HU New Media 074, originally uploaded by anandaleeke. Ananda Leeke, Kari Fulton, and Dr. Alla Tovares served as panelists for Howard University’s New Media Symposium at Founders Library on April 6, 2011. Fulton is the National Campus Climate Challenge Coordinator for the Environmental Justice and Climate Change Initiative. 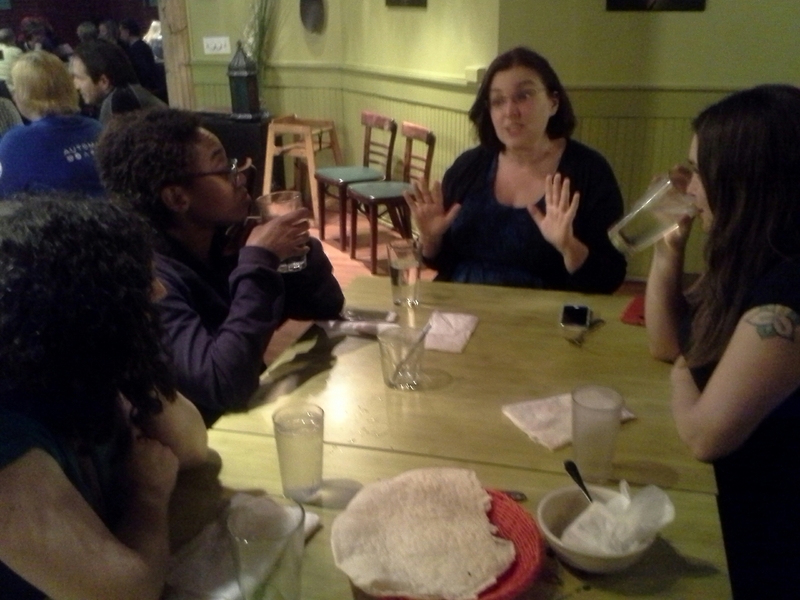 Dr. Alla Tovares is a Howard University Professor and author of How to Write about the Media Today. 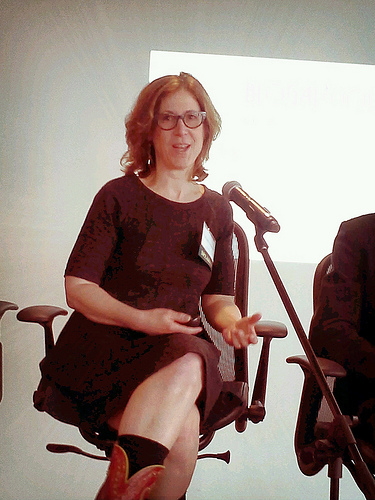 Angela Adrar, an International Strategy and Communications Consultant, served as the moderator. Dr. Ada Vilageliu Diaz, a Howard University professor, organized the symposium for freshman students as part of her writing-intensive composition course on new media entitled: New Media Writing and Race. The symposium’s goal was to have students learn from new media/social media experts and to further understand the possibilities of new media to support social causes and to enhance leadership possibilities.